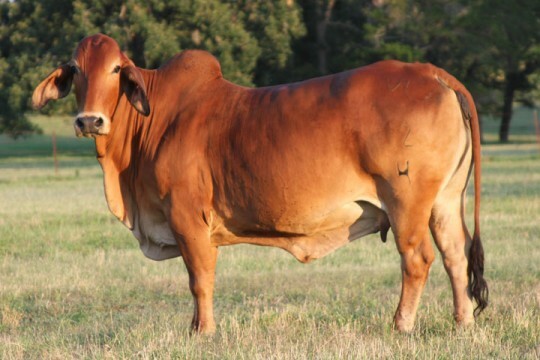 VL Rojo Apache 1/50 is a medium-framed bull with exceptional muscling, bone, and conformation. His deep red color and eye appeal have caught the eyes of breeders around the world. 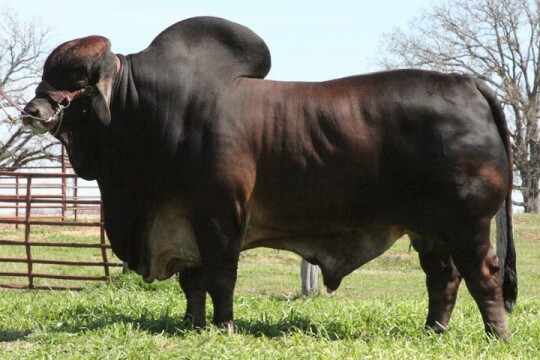 He is truly a different kind of red bull that will propel Red Brahmans in the beef industry. His paternal sire is KC Apache 707/4, an outcross to the traditional Santa Elena Ranch bloodlines. 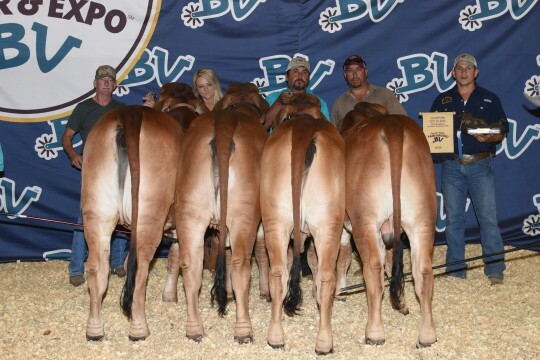 KC Apache 707/4 goes back to +BB Mr. Sting-Ray 10/0, the 2003 National Champion Red Brahman Bull & Three time- Red Show Bull of The Year. 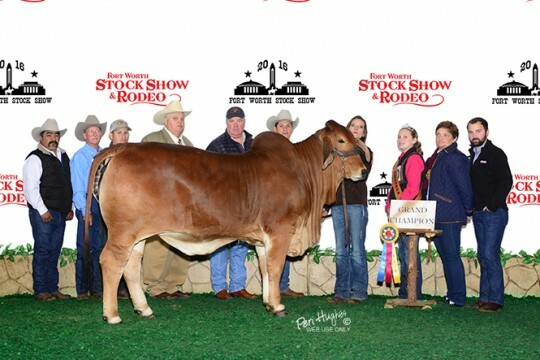 1/50’s dam is VL Elena 12/4, a top producing donor at the ranch. She is known for her maternal ability, fertility and deep cherry color. Her pedigree is excellent, going back to VL Rojo Designer 10/9. A sire whose progeny spreads to the Dominican Republic, Colombia and Mexico. We recommend “Apache” on medium to large frame cows that need improvement in muscle and conformation. We are very excited for the future of this young herd sire. His first calves have hit the ground and had us nothing short of speechless. They are outstanding, powerful, thick, eye appealing, and gentle.